Tech – Junkie on withdrawal !? Then you are exactly what we are looking for. 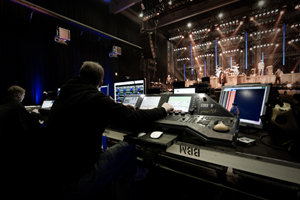 We are a team of sound engineers, lighting engineers, designers, office stallions and techies, who love to solve problems. The bigger the better. Our passion is always impressively showcase music and brands. If you want to work in a constantly evolving environment with some of the world’s best engineers and technicians, then Black Box Music is your business. Reinforce our team! Black Box Music is the official training company „Fachkraft für Veranstaltungstechnik“ and „Veranstaltungskauffrau/mann“. Are you are at least 18 years old and have an interest in our fields of expertise? You don’t mind Inhumane working hours and an enormous workloads? Teamwork is important to you? You feel this is your calling? Then send us your resume. Closing date is 15th February each year. Nothing that fits for you? Please send us your CV yet. We are always looking to strengthen our team. Just send an e-mail to jobs@black-box-music.de to get more information / or apply now.